Hudson City Schools has a graduation rate of 98 percent, holds the status of #1 Best School District in Summit County, and is #8 out of 608 districts in Ohio. I could tell you that those achievements are because of their 1:1 program or recent $81.5 million bond, but I believe it’s because of their leaders, staff, and community. Sheryl Sheatzley, Communications Manager, and Kristin Dages, District Media Technology Coordinator, are two of Hudson’s dedicated leaders and staff. 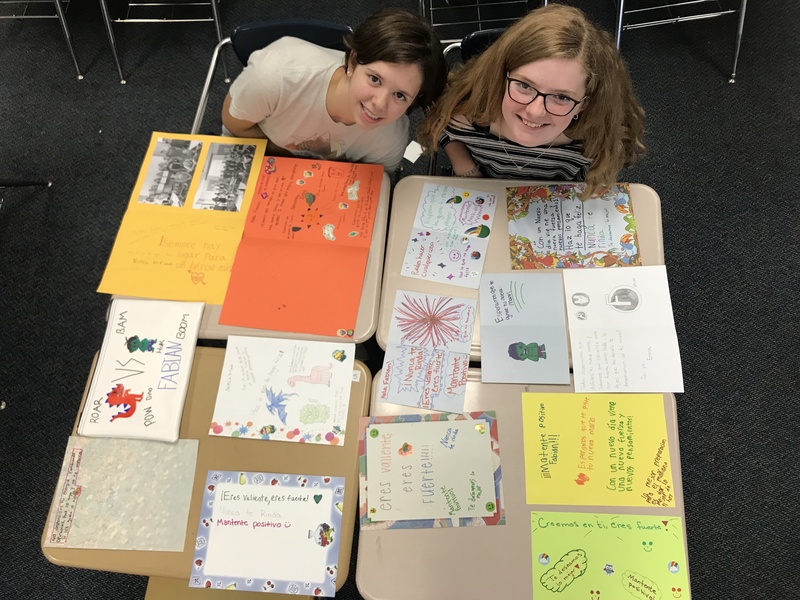 For eight years, Kristin Dages explored science and English with her students, but she observed a rift in her students’ skills and teachers’ technological perceptions. “We’re trying to prepare students for jobs that don’t exist yet,” Kristin explained. Students lacked digital literacy, and many teachers feared technology. “That spawned my adventure,” she remarked. “Now, I integrate technology into the classrooms where we aim for effective and innovative uses,” Dages added. 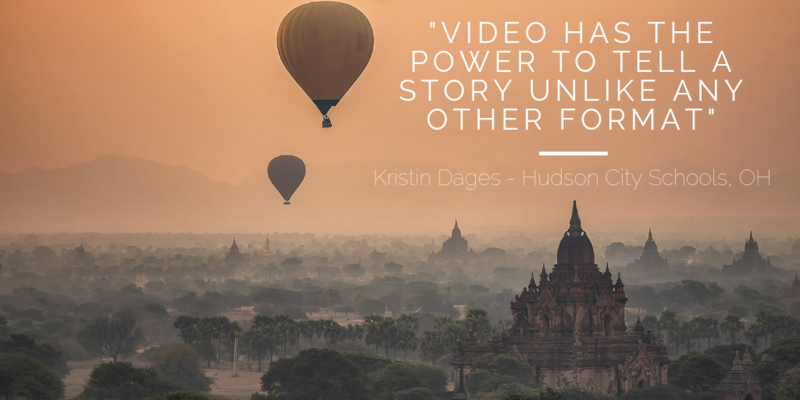 “Video has the power to tell a story unlike any other format,” stated Kristin, which is why Sheryl prioritizes district videos for communications. Sheryl explained how she discovered MyVRSpot, “I was looking for a way to provide more space for large videos at a reasonable cost, and a way to deliver live streaming content for the district, our buildings, and classrooms.” She continued, “However, we wanted a space appropriate for the K-12 environment that was free of ads and other commercials that popped-up.” It was at this point of realization that Hudson City Schools and MyVRSpot joined forces in 2013. Currently, Sheryl and Kristin are most excited about the live streaming potential in their schools, and they explain why unlimited storage, the ease of sharing content, and closed captioning through MyVRSpot’s system are most useful. Sharing content also includes a custom Video Showcase page and the YouTube filter. “Life is about relationships,” expressed Sheryl. MyVRSpot aims to kindle connections, both personal and learning, through technology. “School administrators live stream, rather than “tell”, morning announcements,” described Kristin. “Students are tuned-in like nobody’s business. It’s simple brain science: peers like seeing peers. They love video, and that’s the language they speak,” she explained. Sheryl isn’t kept up at night worrying about server storage space. She can sleep easy knowing that the curriculum team uploaded every Professional Development video, and that Hudson’s website stands strong when hundreds of people view the Senior Final Projects. Determines the viewer’s bandwidth using adaptive bitrate technology, giving each spectator the fastest viewing experience. Voila! MyVRSpot delivers the optimal quality video to your viewer based on their then available bandwidth. “At the district level, the ease of sharing is most valuable to me,” Sheryl praised. She can communicate with Hudson’s large audience, effortlessly; upload and then share media through a URL link, QR Code, or embed it into a website; and easily create groups and share content with just a unique subset of users. Hudson also shares videos through a Video Showcase. The video topics range from explaining their 1:1 initiative, warm welcomes for back-to-school, or student resources, such as how to handle peer pressure. Like the name implies, a Showcase beautifully exhibits videos on a webpage, but avoids the cumbersome process of embedding videos, one-by-one. “MyVRSpot enable our teachers to show educationally-vetted content through a clean viewing experience,” Kristin stated. “Since YouTube was blocked within the district, our staff struggled to find useful video content to integrate and share with students, until we learned of MyVRSpot’s YouTube filter. It allows teachers to share content without annoying ads, pop-ups, and “suggested related content”,” she added. Hudson recently added-on Closed Captioning to their system, which will help them maintain ADA compliance. Hudson does not have to remove their previous videos or stop creating videos. To add closed captioning to a video, locate the media and click “Request Caption”, it’s that easy. “The entire MyVRSpot staff is, hands-down, the best customer service based company I work with. No problem is too small or too big, and any problem is resolved quickly. They provide templates, a way to stay ADA compliant with videos, and also provide easy access for live streaming,” listed Sheryl. 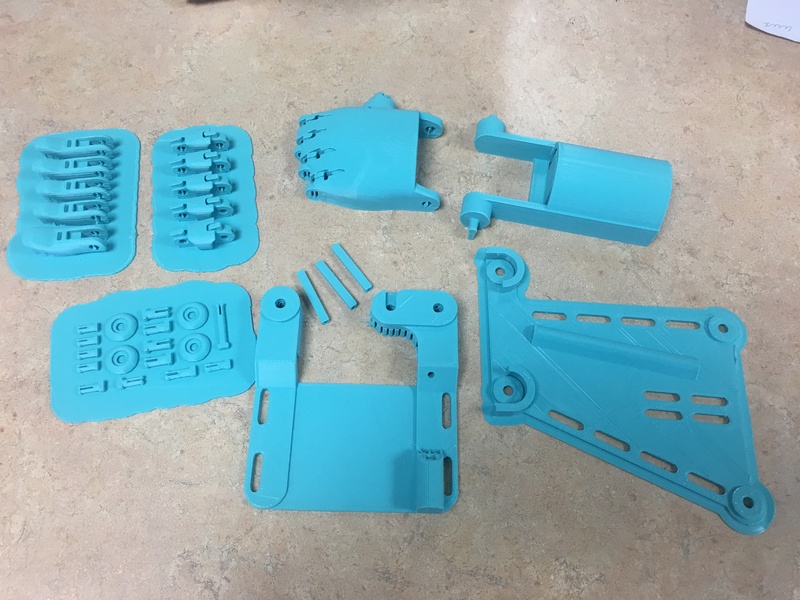 “We rely on the MyVRSpot team to provide products and services as our district’s needs evolve. They help us stay current with technology and with policy changes, like ADA compliance. Our jobs are easier with the MyVRSpot team as our partners,” explained Sheryl. 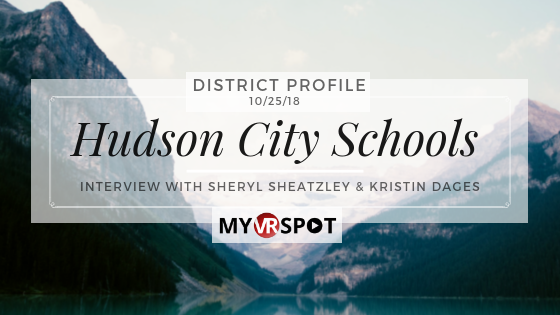 The MyVRSpot team celebrates districts like Hudson City Schools and staff like Sheryl and Kristin. We look forward to years of supporting the ever-changing needs from Hudson City Schools and districts alike.